This post is an update of what kept me busy for the last two months. More for me as a log file :) Do read on if it interests you. It started with BugATAhon contest conducted by Agile Testing Alliance at Compassites Software Solutions Pvt. Ltd at Bangalore on August 6th, 2016. Previous experience with Zappers contests and Weekend Testing time boxed sessions seems to have helped me win the contest :) This was the first time I and Sundar were in different teams since we got to know each other in 2012. 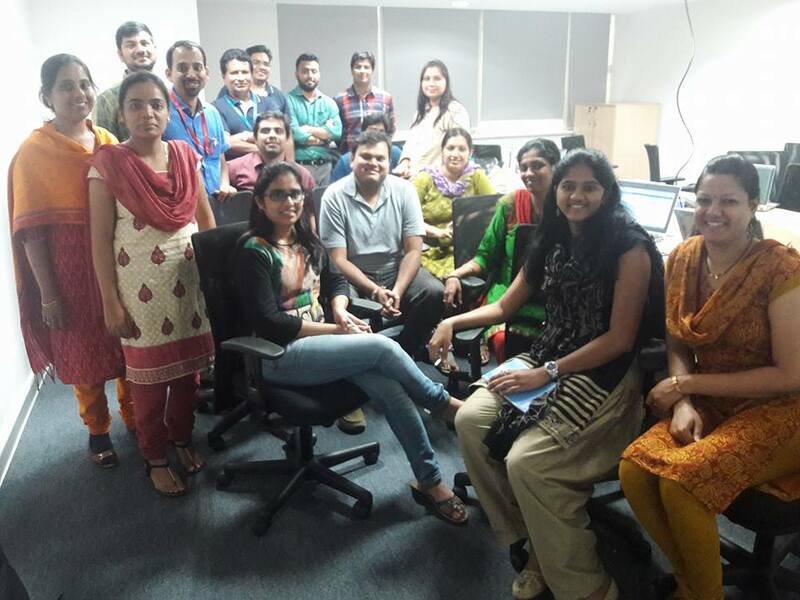 After BugATAhon, it was time for Mobile Testing and Mobile Security Testing workshop at ET Marlabs, Bangalore. 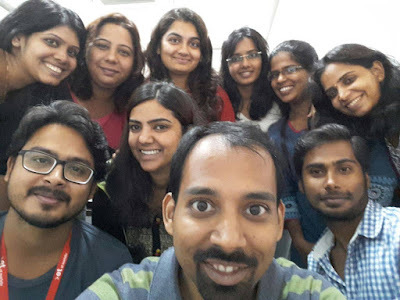 I loved the energy of the group and how quickly Surbhi organized the whole workshop. 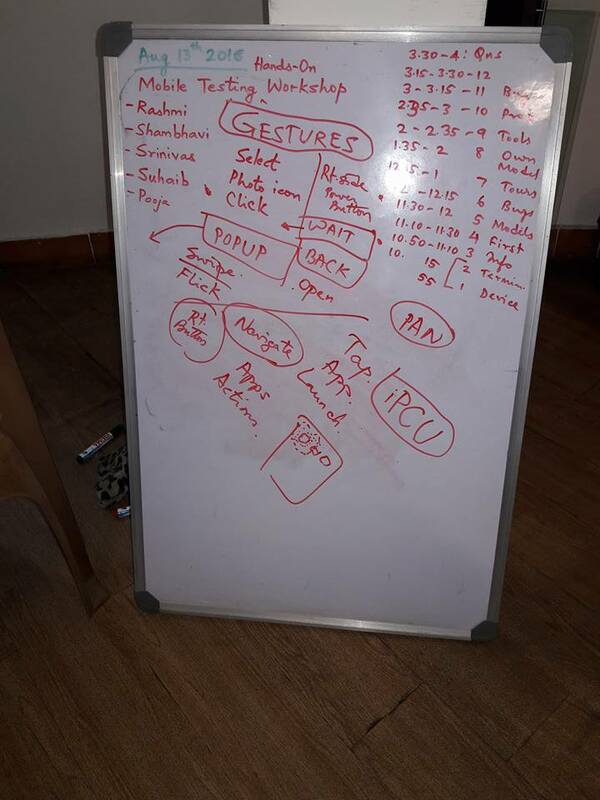 Everything about the workshop right from the first email to final payment was finalized in a week's time. It was time for Mobile Testing workshop at Test Maniac on Aug 13. 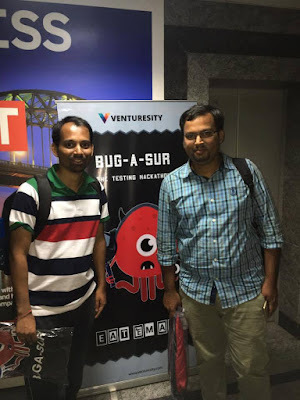 Then Sep, I went to Noida to conduct Android Security Testing and API Testing workshop for Times Internet. 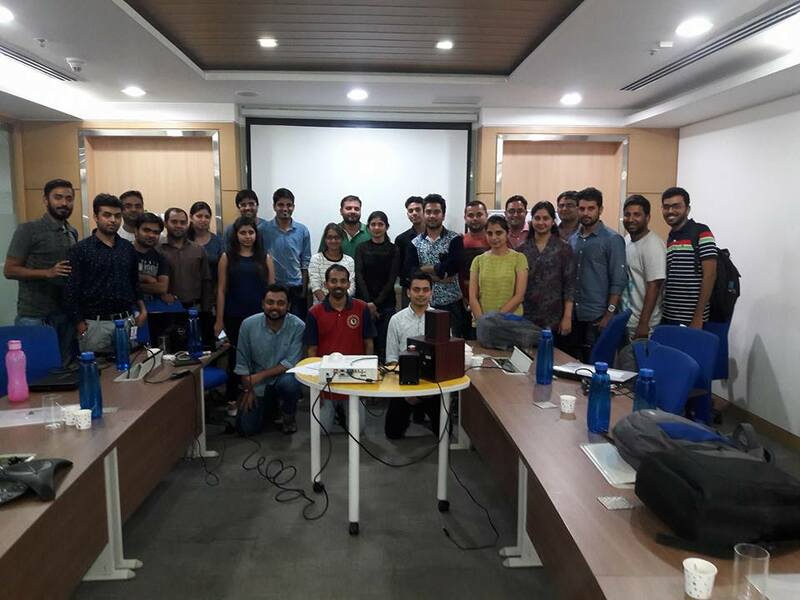 This was the first time I conducted workshop on Android Security Testing. The practice with Test Manic testers helped to a great extent. I also thank my new friend who taught me the basics of Android Security Testing. This was followed by Exploratory Testing workshop at OpenText in Sep.
Then, I presented in Agile Testing and Test Automation Summit on the topic - "Automation in Testing". How could we incorporate automation in testing is the main theme of the talk. This was on Oct 21 and Oct 22, I and Sundar formed a team to participate in Bug-a-sur conducted by Venturesity. And we won again. 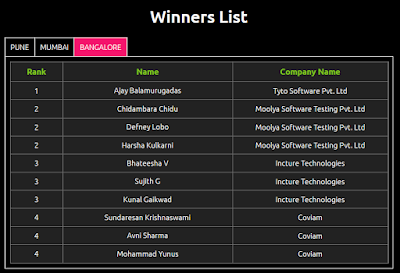 Santhosh Tuppad and Pranav K S also won some cool prizes. What made me even more happy was that the same team from ET Marlabs also won a prize in the contest. Each event can be a blog post on its own but due to the time constraints and other priorities, I am stopping here. I have not mentioned about the STWC judging (completed), Machine Learning course (in progress), Sahi Pro Meetup (completed) and LinkedIn Learning course which I plan to enroll before Oct 30th to take advantage of the free courses they are offering. Till next time, happy testing.